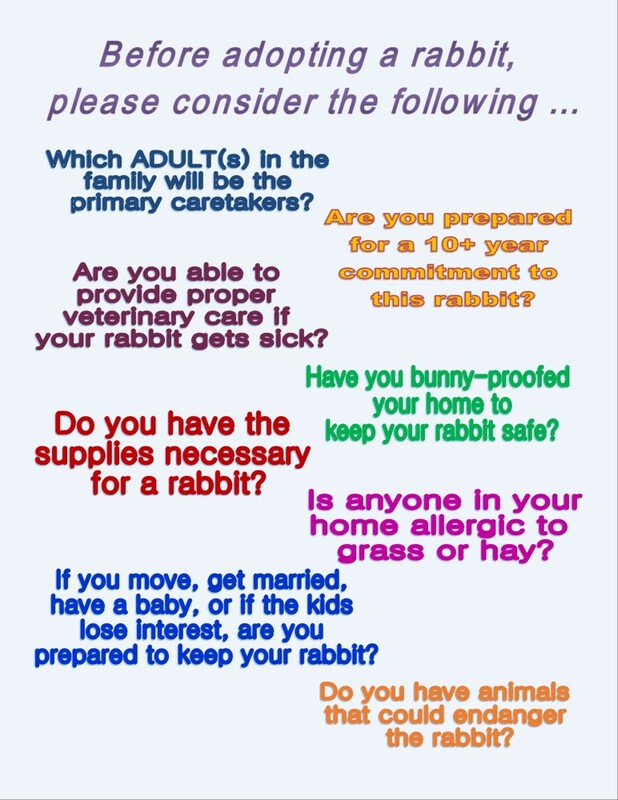 Things to know before you adopt to make sure that a house rabbit is the right choice for your family. 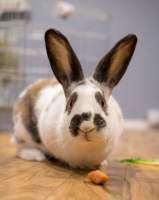 See all the rabbits currently available for adoption. Please allow up to 48 hrs for us to respond to your application. We are all volunteers and do the best we can to get back ASAP. Featured Pair of the Month! 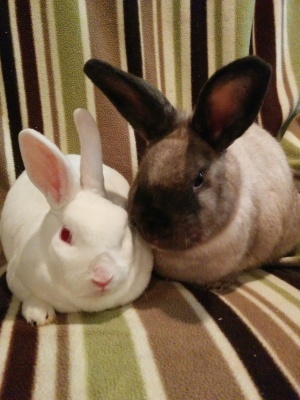 Betty & Basil are a sweet bonded pair who are gentle, loving and adventuresome. They love to lay together and groom each other often. They are looking for a new family to call their own. Betty is an all white rex with personality for days! She grunts when she is happy and content and LOVES to be cuddled. 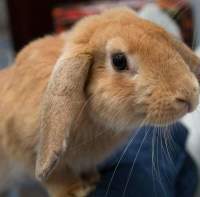 Basil was one of our babies born in the rescue a few years ago. He is very protective of Betty and it is so obvious he loves her very much. Let us know if you would like to meet this great pair!